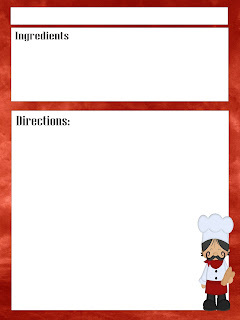 How fun this Italian Chef recipe card printable is to help get organized in the kitchen. 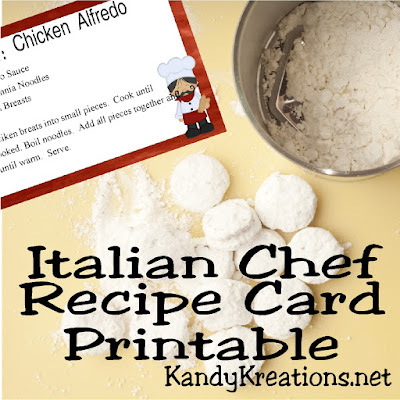 It's available in two sizes and the super cute Italian chef just makes me want to use and enjoy this card while cooking up a storm. Maybe it's that my hubby spent 2 years in Italy. Maybe it's that my family LOVES their Italian food. I don't know. But I have found that I love to have those cute little Italian chef's in my recipe cards. They are just so sweet. 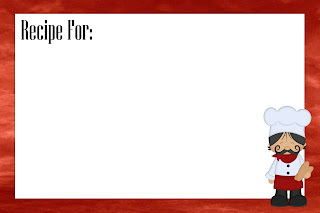 Today's printable for our 30 days of summer fun consists of a recipe card. 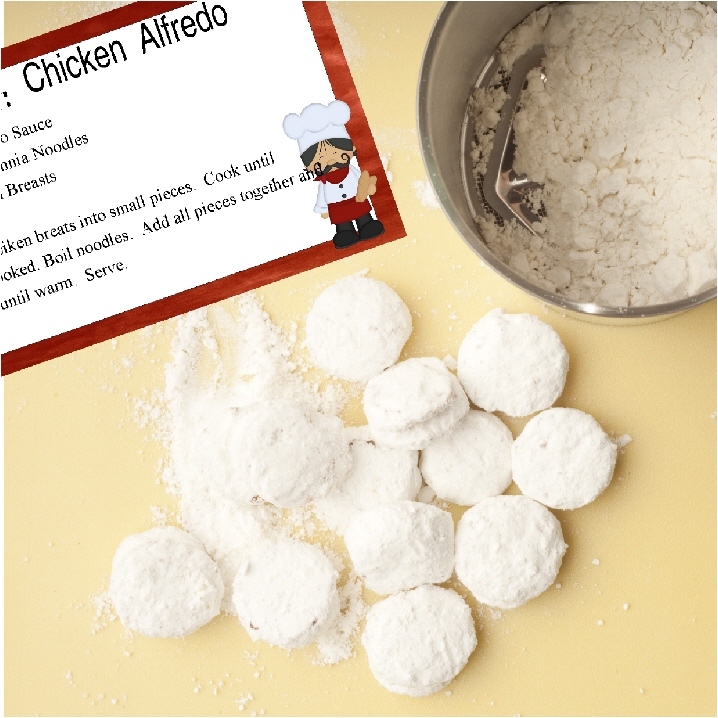 You can download it in a 4x6 inch size or a full page recipe card. It just depends upon what kind of recipe book you use. I love to use my half page binders (with all the cute plastic canvas covers) but my kids like the full size and my mom likes the 4x6 inch size. For my own sanity, I just make them suitable for all sizes. You can download and save them to your computer and then just use your computer's print program to select the size that you want to print. That's the easy part. Getting all your recipes written down and organized...now that may be a bit harder.